ORATS is on a mission to deliver traders the most accurate options data in the world. We recently published a database on Quandl that is the product of this mission. In this short post, I will discuss why professional quantitative traders trust ORATS for their backtesting and model calibration. A lesson many option traders “learn the hard way” is that historical volatilities calculated from end of day prices are often unrepresentative of the true profit and loss from gamma trading an actual option position. Enlightened professionals know that what really matters is the intraday volatility and gaps that determine how often to rebalance with a delta hedge. The historical volatility data in the OPT database is designed to align with the profits that traders actually observe while gamma-hedging their positions intraday. In broad terms, our measurement methodology creates a simulated position and then computes volatility based on the performance of a blend of possible hedging strategies. The results are volatility measurements that more accurately reflect the full range of market conditions, particularly the inclusion of large intraday price moves. When underlying security opens for trading, the delta of the position is neutralized. Throughout the trading day, a simulated position of stock is traded whenever the hedge interval is reached. Immediately prior to the close of trading, the delta of the position is neutralized. This hedging profit is compared to the cost of the position that is solved for iteratively. The fundamental flaws with traditional historical volatility calculation methods is that large gaps in the prices cause close-to-close calculations of volatility to overestimate volatility and swinging intraday volatility cause underestimates. Traditional models break down with high standard deviation moves – this is not the case with our method. By capturing the amount of actual profit a trader would have experienced on a gap move from a given amount of gamma, the cost of that position at a solved implied volatility that matches this profit can be used to estimate a truer volatility. On April 28, 2015, TWTR had a large gap move (~20%) at earnings. The close-to-close volatility was 82.1% very much overestimating the ORATS tick volatility calculation of 42.6% that compares the simulated profit from the move to the implied cost of that position. Another way to think about this is that if you would have paid an implied volatility of 82.1% for a position you would have lost on trading the gamma of this position for 20 days. We know because we simulate the profit from the movement of the stock and the cost of the position to produce the gamma at the estimated volatility. For each symbol in the US equity option market ORATS serves out our tick volatilities and close-to-close for comparison at 10, 20, 60, 120, 252 trading day observations. ORATS has a proprietary method of summarizing implied volatility to a few parameters that gives a remarkably smooth and accurate picture of skews. Volatility calculations are only as good as the inputs you feed into them. Our advanced research on modeling dividends, earnings, and interest rates produces summarized smoothed curves that match up to the market with remarkable precision. 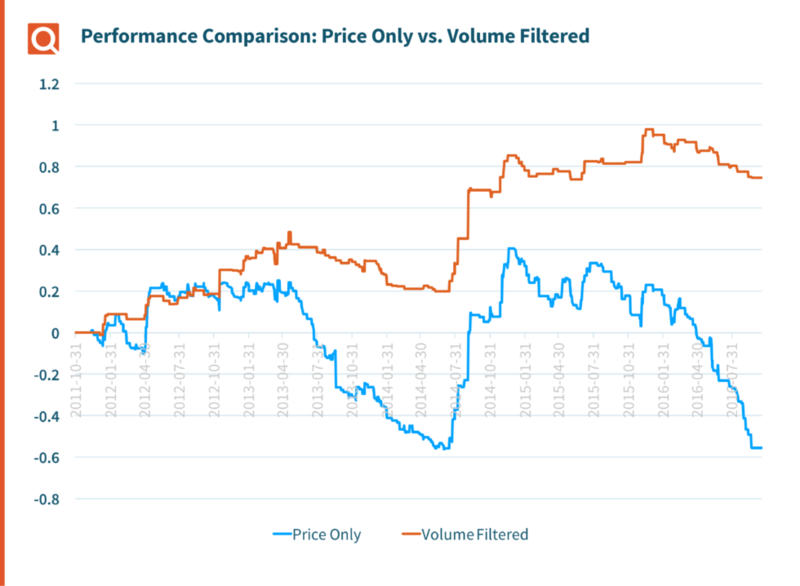 These summarizations enable parameter comparisons between months in one stock or between stocks at different price levels that are very hard to visualize in any other way. This involves using the delta as the x-axis and working to smooth the skew into parameters of slope (skew), derivative (curvature) and at-the-money readings. Method for calculation – Implied volatilities of the calls and puts are lined up by solving for a residual yield over and above the dividend and interest rates. When appropriate the residual rate is sloped and different for lower strikes than higher strikes. The appropriateness is defined by the fit of the regression line through the residual yields. After the residual yields are applied to the individual call and put implied volatilities a curve is drawn through the average call and put implied volatilities at each strike. The at-the-money volatility is the implied volatility at the 50 delta. Strike Slope is a measure of the amount that implied volatility changes an increase in call delta within the intra-month skew. It measures how lopsided the ‘smile’ or ‘smirk’ is. Derivative is a measure of the rate at which the strike slope changes an increase in call delta. It measures the curvature of the intra-month skew or ‘smile’. Weaknesses in other implied volatility calculations – Some services will provide a different implied volatility for calls and puts. This is a short cut that produces a volatility based on less information, a critical shortcoming especially for symbols with few options. By employing a sophisticated method of calculating residual yield that lines up the implied volatility of the calls and puts, ORATS produces one summarized line utilizing all options through the strikes with higher accuracy. Other methods merely average the strikes around the money to come up with a volatility for an expiration. This method can be off if the strikes vary in distance from the 50 delta. ORATS makes the implied volatilities for month 1 – 4 and interpolated volatilities at 30, 60 and 90 days available on Quandl. Also, short term and long term slope and derivatives are published. ORATS provides documentation for the production of smoothed implied volatility surfaces with the summarized readings above. This is explained in the ORATS documentation on Quandl. The OPT database is live now and all Quandl users have trial access. I invite you to test drive our data on Quandl and reach out to us if you have any questions. Guest post by Matt Amberson, Principal and Founder of Option Research & Technology Services (ORATS).